When I recently shared my Strawberry Chia Coconut Pudding Recipe, I also shared that I’m a bit late to the party when it comes to chia seeds. Perhaps you’re a bit like me and hadn’t really ventured out to try them. Well, it’s not just because they taste great that I’ve more recently grown to like them, but because they also pack a punch in the nutrition department, and have many science backed health benefits too. According to Wikipedia: “Salvia hispanica, commonly known as chia, is a species of flowering plant in the mint family, Lamiaceae, native to central and southern Mexico and Guatemala”. It’s an ancient seed that dates back to the 16th Century and is thought to be used by the Aztecs. The seeds themselves are harvested from the flowers and can be used for multiple purposes, which we’ll cover in more detail soon. As can be seen by the nutrition table below, chia seeds are full of fiber, healthy fats such as omega 3, protein, and loads of vitamins and minerals. In fact, as far as seeds go, they really are a ‘complete’ food source so we can see why it’s been eaten for centuries. As you can see from the chia seed nutrition profile above, they contain quite a lot of fat, 30.7 g per 100 g. Now while this might have you worried, don’t be because they contain super healthy fats. According to a study by Mathaus and Ozcan, alpha linolenic acid (59.4 to 65.7 g/100 g) is the main fatty acid in chia seeds, which happens to be an essential omega 3 fatty acid. We need more of these in our diet because most of us just don’t get enough of them. They also contain linoleic acid (15.9 to 20.9 g/100 g) and oleic acid (8.5 to 10.7 g/100 g) , again both healthy forms of fats. Oleic acid in particular has powerful anti-inflammatory benefits, amongst other things. On top of this they also contain a healthy amount of the fat soluble vitamin E, “ranging from 82.8 to 536.5 mg/kg”. And like Mathaus and Ozcan conclude, the seeds or oil from chia provide “high-value products for healthy nutrition”, so go ahead and eat that healthy fat! Vegetarians do have lots of alternatives for protein and chia seeds just happen to be one of them. With 17 g protein per 100 g serve you can definitely see these little guys become a regular part of your vego eating routine. And even if you’re not vegetarian they will still provide a great source of protein to help keep you fuller longer. Over the past few years there’s been a great deal of research that shows inflammation is at the core of many health conditions. I did my Masters thesis on the topic of inflammation and nutrition, and it’s always fascinated me ever since just how many things inflammation is involved in. One of the main nutrients studied for anti-inflammatory benefits is omega 3, and as can be seen by the nutrition info on chia above, chia contains 17.8 g of omega 3 fats per 100 g. This omega 3 comes from alpha-linoleic acid, which doesn’t convert to the usable forms of EPA & DHA as well as eating something like salmon, but it does still provide benefits. Dietary fiber is also known as an anti-inflammatory agent – something that chia also contains a lot of. And the fact that it has great antioxidant power only contributes to it’s anti-inflammatory power as well. Antioxidants are very important because they help fight free radicals and prevent oxidative stress and damage to the body. Too many free radicals cause damage to the bodies cells and leads to the development of many conditions. Chia can donate stable molecules to those free radicals and make them normal again, preventing further damage or decline in our health. In a study where people took a supplement of psyllium husks and chia seeds, the outcome was definitely better bowel movements. As Dr Barbara Bowen, IBS expert says: “When chia seeds absorb water, they take on a gel-like consistency. This may help with optimal stool formation, in other words, keeping stools more moist and easy to pass”. 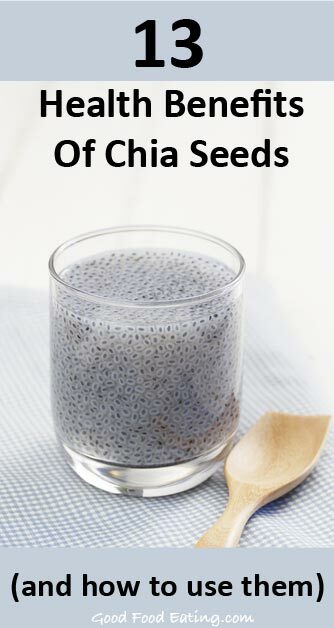 There’s no solid evidence on chia and constipation but given that it does contain nearly 35 g fiber per 100 g, these tiny seeds are definitely going to help get things moving. The important thing to remember when introducing more high fiber foods is to make sure you drink lots of water. If you don’t you can end up making matters worse. Adding the extra fiber is the right move to make, but you need the water to really help flush things out. While there is no specific evidence for the benefits of chia for diverticulitis, only because no specific studies have been done, a couple of important things to draw from that paragraph above are that, a low fiber diet is thought to contribute to it’s development – chia has both soluble and insoluble fiber, and lots of it. 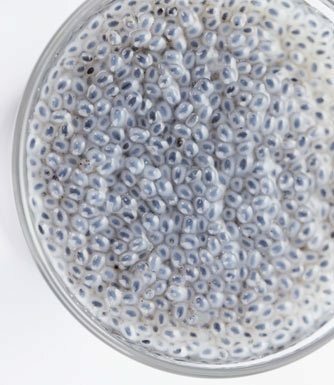 The other thing is inflammation, chia is packed with omega 3, and while it’s the alpha-linolenic version of omegas, which doesn’t convert as well as say, eating fish, it still does provide anti-inflammatory benefits, particularly with the amount of anti-oxidants it contains, which can help reduce oxidative stress. So all and all I’d say you don’t have anything to lose by adding some chia to your diet. In a recent study in rats, one group of rats were fed a high fat, high fructose (sugar) diet (HFF), and the other group were fed a high fat, high fructose (sugar) diet along with chia seeds and chia oil (HFFC). The rats fed the HFF diet developed glucose intolerance, insulin resistance, and oxidative stress – much like humans would if fed a typical diet high in processed foods and sugar. The rats fed the HFFC diet, didn’t develop the same problems, it was quite the opposite. 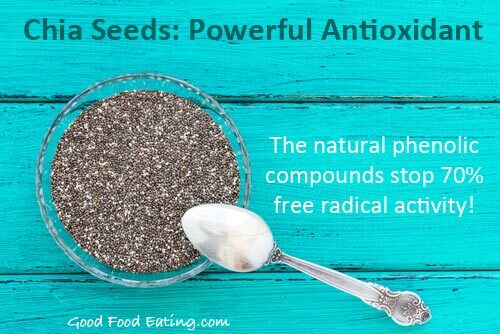 The addition of chia seeds helped restore the bodies antioxidant system and improve glucose and insulin tolerance – which is actually quite remarkable. This is perhaps one of the strongest and most important studies around the topic of heart disease, type 2 diabetes and chia. A 2007 randomized control trial (the strongest form of study) took 2 groups of type 2 diabetics and gave them either 37 g of chia or wheat bran per day as a dietary supplement for 12 weeks. The group taking chia seeds had a reduction in systolic blood pressure (SBP) by 6.3 mmHg, a reduction in hs-CRP of 40% (an inflammatory molecule that’s frequently seen in heart disease), and significant decreases in A1C. Both reductions in SBP and CRP indicate major improvements for cardiovascular risk factors associated with type 2 diabetes, which is just awesome. Although many health experts claim that chia seeds can help with weight loss, when it comes to the science chia seeds and weight loss has turned back poor results. All I could find was a study in 2009 that showed no effect on BMI or weight. But I think that although there isn’t any direct evidence to say they contribute to weight loss directly, but included in an every day healthy diet, I don’t see how they wouldn’t help. They have high protein and fiber levels that help you feel fuller for longer, and with all the other nutritional benefits I can only see they make the perfect ingredient for a healthy guilt free pudding. Studies have shown that chia can help regulate peptides and hormones that regulate hypertension, aka blood pressure. Again, not a lot of research but a little to suggest some overall benefits. And as we just mentioned, the study with type 2 diabetics showed the group taking chia seeds had a reduction in systolic blood pressure (SBP) by 6.3 mmHg, so you could only suppose that if more studies were done, then we’d likely hear more about the benefits for hypertension. There isn’t loads of evidence around cancer either, but there is enough to convince me it could be of great benefit. A study published in the Journal of Molecular Biochemistry “analyzed the effect of the essential fatty acid, alpha linolenic acid (ALA) on nitric oxide release as well as induction of lipid peroxidation in breast and cervical cancer cell lines”. What they found was that: “ALA regulated the growth of cancer cell lines through induction of lipid peroxidation and modulation of nitric oxide release resulting in apoptosis”. Apoptosis means cell death, so the extra ALA from the chia seeds killed the cancer cells, which I’d say is pretty darn amazing. Studies have looked at including chia seed flour, which is essentially just ground chia seed, into breads. What one study did was remove the hydrogenated oils and replaced them with chia seeds or chia flour, and it resulted in a 24-27% decrease in horrible inflammatory saturated fat content from hydrogenated oil. So hopefully we’ll start seeing more breads like these on the shelf, which could potentially improve population health as a whole. As we showed earlier, the 2007 randomized control trial showed reduced systolic blood pressure and a reduction in hs-CRP of 40%. CRP is an inflammatory molecule that’s often seen in the early stages of cardiovascular disease, so a CRP reduction indicates major improvements for cardiovascular risk factors. Another study in the Journal of Nutrition showed a reduction in serum triglyceride levels, and again a reduction in serum CRP, that pesky inflammatory molecule. So while we can’t say it really prevents or cures heart disease, we can definitely say it can provide benefits. So that’s some of the powerful health benefits of chia seeds, pretty awesome hey! Because of the popularity of chia seeds as a ‘superfood’, you can virtually buy them anywhere these days. You can get chia seeds as both white chia and black chia. Look in the health food section of your local supermarket, check out your local health food store, or buy them online from somewhere like Amazon. As a safe egg substitute – WellnessMama says, “to substitute for an egg: Use 1 tablespoon finely ground chia seeds and 3 tablespoons of water per egg in a baked recipe”. 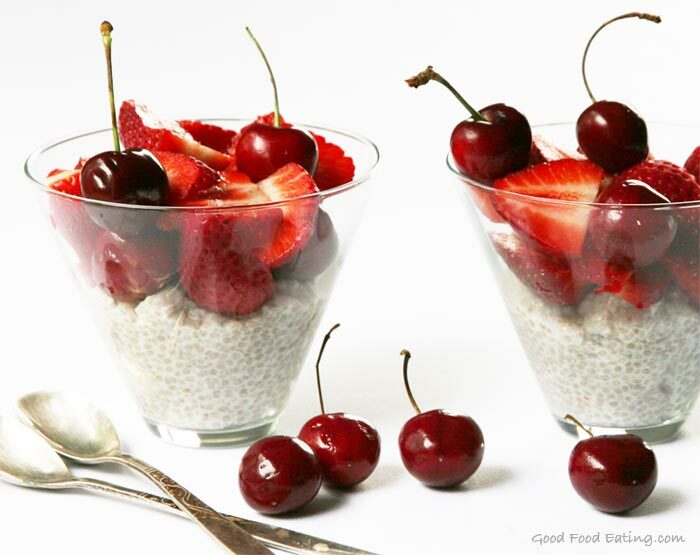 To make healthy pudding – see Strawberry Chia Coconut Pudding Recipe. To thicken soup or gravies – try grinding the chia seeds in a mortar and pestle, and use the powder to thicken soups, sauces, and gravies. To thicken meatballs instead of breadcrumbs – just throw in a couple of tablespoons per pound of meat. One way chia seeds are commonly used is to soak them first. “To soak chia seeds, simply mix them in a 1:10 ratio chia to water. That’s about 1.5 tablespoons chia seeds in one cup of water. It does not have to be exact, but you do want it to gel all the way and not be too watery. Then let them sit for about 30 minutes to 2 hours. 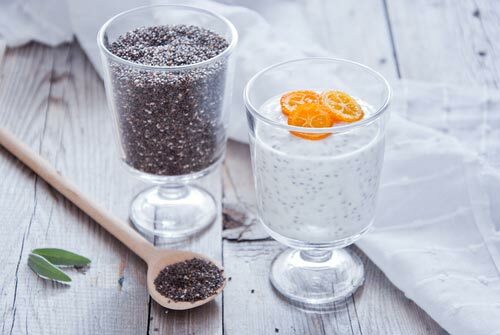 Since chia seeds can hold up to 12 times its weight in water, they are wonderful to prevent dehydration. However, if you choose not to soak them, then they can also absorb water from you during digestion. So make sure to drink plenty of water throughout the day to keep your body hydrated”. I prefer to soak them in coconut milk or almond milk with cinnamon and spices for a delicious chia pudding. Essentially you can use any liquid in the above ratios and the chia will soak up great. So there you have it, as you can see chia really does have lots of great health benefits so I hope this convinces you to include chia seed superfood in your diet on a regular basis and gives you lots of chia inspiration too. 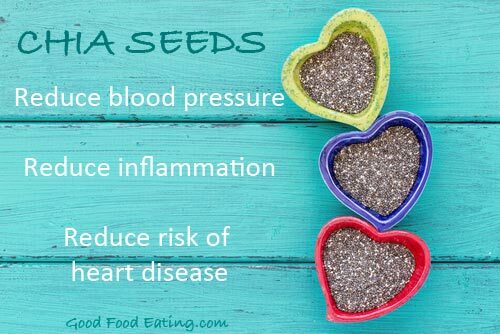 Have you tried chia seeds? Do you have a favorite way to eat them? I’d love to know so please leave your comments below.